Hey and thanks for checking out FLAT! 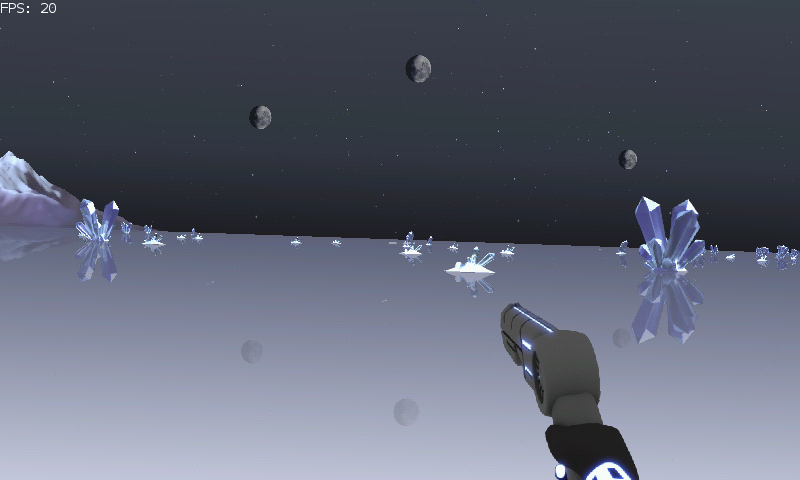 FLAT was created by Johan "SteelRaven7" Hassel, Josh "Cheeseness" Bush, Johannes "jo_shadow" Peter and Anton Riehl for the 7 Day FPS Challenge 2012. Inspired by early first person shooters, arcade genres and popular sci-fi, we aimed to create a unique and hopefully memorable gameplay experience. In the several days following the conclusion of the 7 Day FPS Challenge, we spent time polishing numerous gameplay aspects and adding additional audio to the game. At this stage, we still consider it a work in progress, but we believe that it is enjoyable and playable in its current state. Thanks again, and don't hesitate to leave feedback if you feel like it! This is a very short game in term of gameplay, but still challenging. 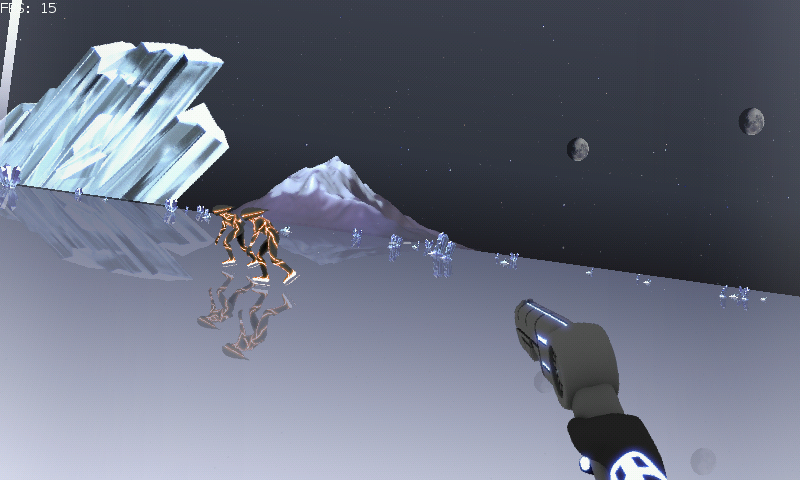 It's a "Tron on Ice" theme Arena FPS. You have to decimate the Pulse Dragon, but first have to eleminate many of his guards. You "skate" with trigger (alternate left & right trigger as you would do with your left & right feet on ice-skating). Shoot with (X), jump with (A) and Heal with (B). DPad is used for direction. At first, you'll see a Medpack in front of you. 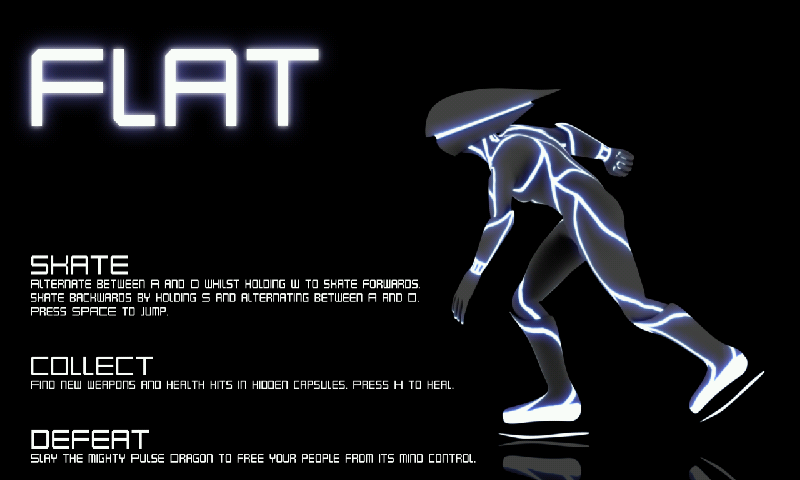 Grab-it to have 3 heal kits and a weapon, than skate a bit to familiarize yourself with the control. Soon enough, Yellow skater (they are evil of course) will appears and start shooting at you. Good luck (and if you found the use of jump, tell me). * Forgot some compilation optim flags before, this build is 50% faster ! * Modified gameplay to ease a bit the game, and make it more progressive. Not my kind of game, but objectively I have to say, that it enriches the Pandora gaming portfolio. No similar game on the Pandora so far. Therefore rating 3/5. Interesting game. Runs a bit jerkily on pandora, but has potential. I could not find a jump key but I did not find it necessary. Like a demo but what a great demo!! 5/5. Hope this game expands to a full game.